The young man who haunted me in my dreams was Xia Yu, the solemn looking boy who first caught my shy eyes when I was barely thirteen and has occupied a sacred corner in my heart ever since. “Do you know why my parents named me Xia Yu?” His voice was deep and intense, yet full of tenderness. (Junying Kirk. 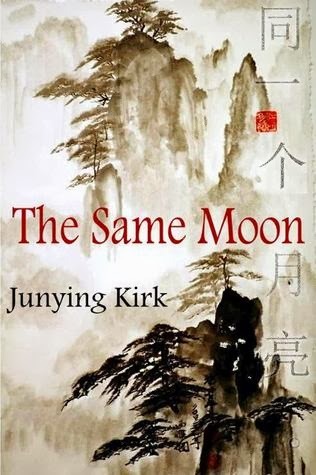 The Same Moon (Kindle Locations 160-163). “I want to give you something, from China... and I hope you like them,” I struggled on a nervous murmur, my hand reaching out with what I had picked out earlier. “Wow, this is beautiful,” his face shone in delight with my first gift, a beautifully painted calligraphic classic poem. (Junying Kirk. The Same Moon (Kindle Locations 5127-5129). "Pearl Zhang was born in Sichuan Province in China, and grew up during the Cultural Revolution. She was raised in a typically Chinese manner, went to school, got a job and got married, and her whole life path had been mapped out, or so it seemed. She then seized the opportunity to study in the United Kingdom – and stayed. How did Pearl adjust to the Western way of life, and what did she have to do to overcome the barriers? Would she find happiness and fulfillment with her English suitor in Scotland, or would her heartache continue? She was in a new world, both foreign and exciting – albeit under the Same Moon. 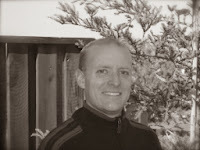 Junying Kirk's second and third books, in the trilogy are Trials of Life, which continues the story of Pearl in the United Kingdom, and Land of Hope, a novel of international intrigue. My comments: An excellent weaving of historical fact into fiction, written with stark frankness. The novel will tell you more than you may already know about the perilous political and social situation of the Jews in France and Germany even before the war, of some who might have survived and some who didn't. This historical novel follows Rose, a young American reporter in the 1930s, to Paris and Berlin where she observes what takes place in France and Germany before the war. An old lady now, she writes her memoirs up to 1989 and ponders the fateful decision she was forced to make as she fled Europe before the war broke out. 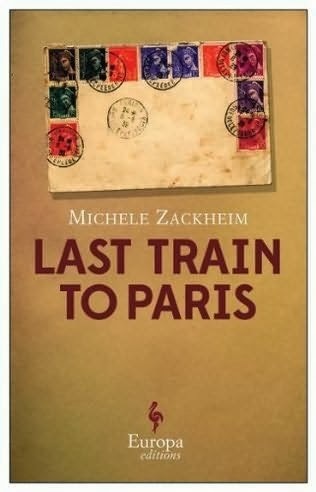 Book description: "Inspired by the story of a distant cousin who was murdered in Paris in 1937, award-winning author Michele Zackheim’s book is a gripping epic about a half-Jewish female reporter from Nevada who writes for the Paris Courier in the 1930’s. The sole woman in the newsroom, she lives with both sexism and anti-Semitism. Then she meets Leo, a German radical and anti-Nazi and realizes that while Paris is interesting, the truly vital historical story is taking place across the border. Rose undertakes an assignment in the Berlin press office, where she is initially happy and in love until Kristallnacht and the growing threat of Nazism. When World War II is declared, Americans are forced to leave the country and Rose must make an agonizing choice: Who will go with her on the last train to Paris? 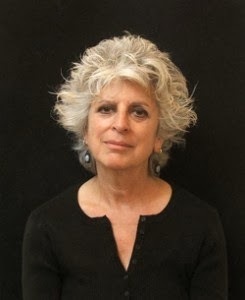 Michele Zackheim is a multi-media artist as well as writer. Her work is in the permanent collections of The National Museum of Women in the Arts in Washington, D.C.; The Albuquerque Museum; The Grey Art Gallery of New York University; The New York Public Library; The Hebrew Union College Skirball Museum, and The Carlsbad Museum of Art. She has been the recipient of two NEA awards, and teaches Creative Writing from a Visual Perspective at the School of Visual Arts in New York City. Her first book, Violette’s Embrace, is a fictional biography of the French writer Violette Leduc. Her second, Einstein’s Daughter: The Search for Lieserl, is a non-fiction account of the mystery of the lost illegitimate daughter of Mileva and Albert Einstein. Broken Colors is the story of an artist, whose life takes her to a place where life and art intersect. Visit her Author website. See more reviews of Last Train to Paris. Thanks to TLC Book Reviews and the author for a review copy of this book. Welcome to the Sunday Salon! Also visit The Sunday Post hosted by The Caffeinated Bookreviewer, and It's Monday: What Are You Reading? at Book Journey. Also, Mailbox Monday at its permanent home, and Stacking the Shelves at Tyngas' Reviews. This was the scene from my window last week and it hasn't changed much since. Some of the snow has melted, but the temperatures have been on a see-saw up and down and we are back in the minus zero wind chill zone, with bits of white being added every day. I have a love-hate relationship with this unseasonable winter. We haven't had this kind of snow in a few years and so these blizzards and strong winds that blow snow around are almost a new experience. I love the looks of it, have taken lots of pictures, and even gone out occasionally, though I have forsaken yoga classes and am staying away from movie theaters, malls, and places where people who might have the flu congregate. For the first time ever, I was persuaded to get a flu shot because of the scare in the area - a few people have died and many hospitalized, and the health department here says the flu this season is no respecter of age. The young and old and some seemingly healthy people in between those ages have been hit. My hope - some of these extreme temps will kill those bugs! 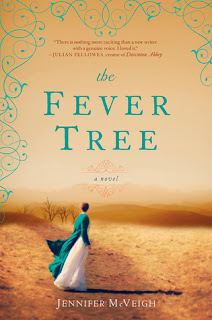 The Fever Tree by Jennifer McVeigh was sent by Penguin for their book tour. A young woman emigrates from London to South Africa in 1880 and has adventures and encounters that reflect a country under colonial rule. Anyone notice that a few publishers are doing their own tours for their authors? This is the second book I have scheduled for a publisher tour. 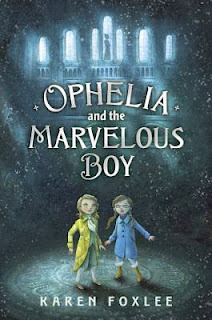 Ophelia and the Marvelous Boy by Karen Foxlee, from Alfred Knopf, is just right for this season. It's a modern day retelling of Hans Christian Andersen's fairy tale, The Snow Queen. A young girl discovers a boy locked away in a museum, in a city where it always snows; a prisoner of the Snow Queen, he has been waiting for the girl to rescue him. Symbolic, eh? Fresh Off the Boat: A Memoir by Taiwanese restaurant owner Eddie Huang. Three very different books, but I do love the variety! What are you reading and in what weather are you enjoying your books? Can't wait to hear! 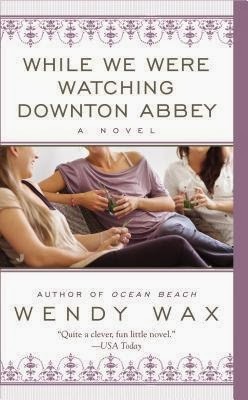 About the book: The novel is about three women and a concierge in an upscale apartment building in Atlanta, Georgia, modern time, who meet each other as part of the concierge's weekly Sunday event - Watching the TV series, Downton Abbey, while having drinks and elaborate hors d'oeuvres in the building club room. These four all have their problems, however. Samantha is married to a wealthy businessman who she feels married her out of pity and not love. Claire is a divorced mom with an 18-year-old son in college, but she believes she is failing as a writer, her chosen profession. Brooke, also divorced but with two daughters ages 5 and 7, has a self-confidence that is almost nil after her husband walked out and later moves into the same apartment building with his mistress. Ed Parker, the British concierge, relies on his uncle back in Britain for helpful advice in making his new concierge business a success. How they all help each other cope with their problems and upcoming crises is the crux of the novel. The glue that holds their relationships together is their weekly get-togethers to watch Downton Abbey, from the first series onward. My comments: Great characterization, story, and plot situations made this a very enjoyable read. The plot was well crafted and the colorful, realistic characters made the novel entertaining and lively. I highly recommend it. About the book: A novel of Emma, a young woman from Georgia, who marries an American missionary in the mid-19th century and travels with him to West Africa to live among the Yoruba people. There she lives a life of challenge as well as gets to know, befriend, and rely on the local people. 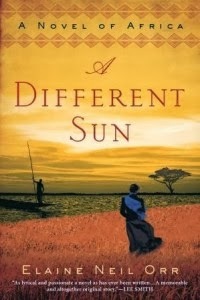 My comments: I could tell while reading the book that the author belonged to missionary people, as the novel is circumscribed by the strong and determined faith of Emma and her husband Henry Bowman to build a church and bring Christianity into the heart of the African country. How well they succeeded is not clear to me, as the customs and beliefs of the local people, and the challenges of not enough money and supplies, and isolation from other Westerners take a strong toll. There is an element of the magical in the book, as Emma carries a talisman of sorts from her home in Georgia back to Africa. The talisman is a carved wooden knife or letter opener that the old African slave from her father's plantation, Uncle Eli, had given Emma to take to Africa with her. It somehow challenges Emma to make amends to Uncle Eli for the conditions of his slavery. The novel is told mainly from Emma's point of view, and occasionally from her husband's, and from their African cook and helper, Jacob's. As a look into the lives of missionaries abroad, it is an excellent addition to the literature of this genre. Elaine Neil Orr's memoir, Gods of Noonday, was a Top-20 Book Sense selection. 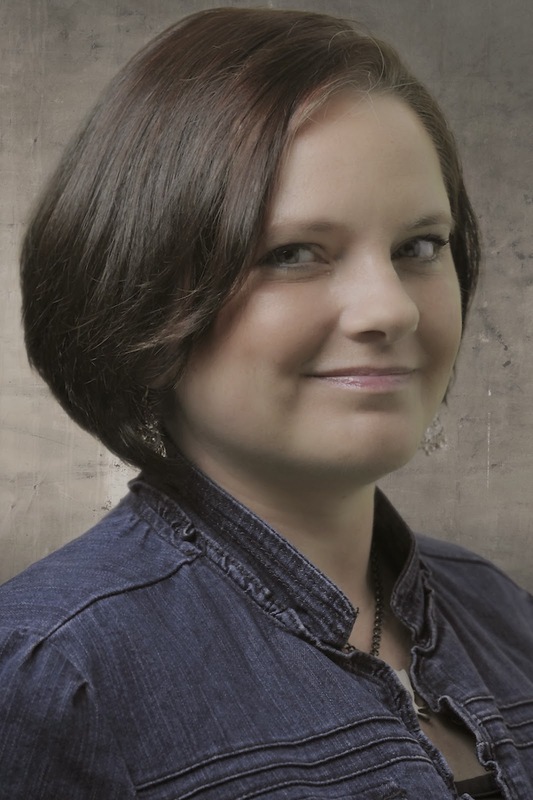 She is associate editor of Writing Out of Limbo, and the author of two scholarly books. Orr was born and grew up in Nigeria to medical missionary parents. Orr left West Africa at age sixteen and attended college in Kentucky. 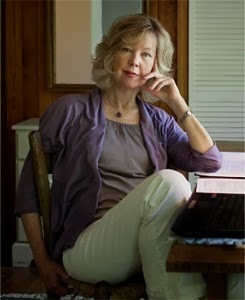 She studied creative writing and literature at the University of Louisville before taking her Ph.D. in Literature and Theology at Emory University. She is Professor of English at North Carolina State University and on the faculty of the MFA in Writing Program at Spalding University. She lives in Raleigh, North Carolina, with her husband, Anderson Orr. Visit her website and Facebook page. Thanks to TLC Book Tours and the author for a review copy of this book. See more reviews by tour participants. About the book: Adriana Paramo, who had left her home in Medellin, Colombia to become an anthropologist, gets a phone call about her mother Carmen's sudden death and returns home from Alaska to attend the funeral. She and her four sisters and a brother, all older siblings who had remained in Colombia, meet up again to pay final respects to their mother, reminisce about her life, and claim sentimental items from their family home. The book flashes back to Adriana's memories of growing up without their father, who had left them when Adriana, the youngest, was only five or six years old. The book explores Carmen's life, her marriage, her love for her husband before and even after he deserted her, and her raising six children by herself. All of this from Adriana's viewpoint as an impressionable child, then a rebellious adolescent and as an independent adult. A moving family story, expertly written, with the life and personality of Adriana's mother fully developed as creative nonfiction. Carmen came through as a determined personality who wanted more for her children and demanded more from them as well. She was successful in moving them on to a better life, where they could help both her and each other.The book was also very informative of Colombia's customs, dynamic society, and its volatile politics during that time period. As the last of six children, myself, I was amazed at how much I could relate to this narrative of the relationship between the mother and daughter. Adriana came to know Carmen more deeply as she had spent more time with her as the youngest child. As Adriana's brother said, Carmen was a different person and mother in the 1960s-70s than she was in the 80s when she had Adriana. I highly recommend this book on several levels. 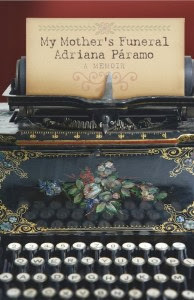 Paramo has written another work of creative nonfiction, Looking for Esperanza, which has won several awards. I would really like to read that book also. 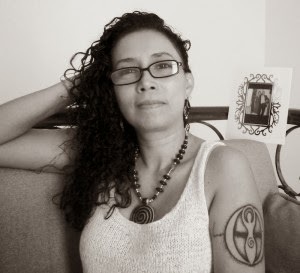 Adriana Páramo is a cultural anthropologist, writer and women’s rights advocate. Her book “Looking for Esperanza,” winner of the 2011 Social Justice and Equity Award in Creative Nonfiction was one of the top ten best books by Latino authors in 2012, the best Women’s Issues Book at the 2013 International Latino Book Awards, and the recipient of a silver medal at the 2012 BOYA, Book of the Year Awards. “My Mother’s Funeral,” a creative nonfiction book set in Colombia, was released in October 2013 by Cavankerry Press. Thanks to TLC Book Tours and the author for a review copy of this book. Click on the link for more reviews by book tour participants. Welcome to the Sunday Salon! Also visit The Sunday Post hosted by The Caffeinated Bookreviewer, and It's Monday: What Are You Reading? at Book Journey. Also, Mailbox Monday at it's permanent home, and Stacking the Shelves at Tyngas' Reviews. I've been reading cozy mysteries in between my book tour books. They seem to fit winter - lighter and often entertaining, except for some grisly details on occasion as they are crime novels, after all. Here are a few that arrived in the mail for review, thanks to Penguin and Berkley Prime Crime. 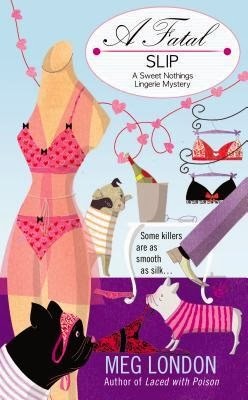 A Fatal Slip: A Sweet Nothings Lingerie Mystery by Meg London will be released February 4. Pecan Pies and Homicides: A Charmed Pie Shoppe Mystery by Ellery Adams, published January 7, 2014. 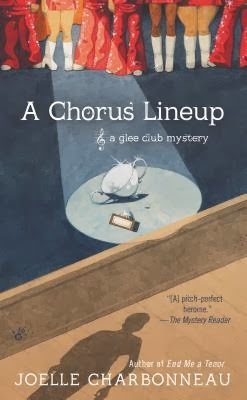 A Chorus Lineup: A Glee Club Mystery #3 by Joelle Charbonneau, published January 7, 2014. For my final book tour for January, I'm now reading and enjoying Last Train to Paris by Michele Zackheim, an historical fiction set in Paris in the mid-1930s. What are you reading this winter? Any cozies planned? "What's up?" Stella asked. "You're one of my best people. What happened today?" Sweet Pepper Fire Chief Stella Griffin stood in the middle of a field of red, yellow, and green hot pepper plants that looked as if it went on forever. The August sun beat down on her head and made her question why she's worn long jeans, instead of shorts, on this outing. GETTING WARMER. 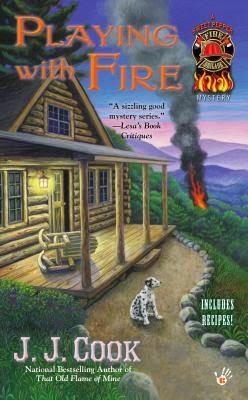 Fire Chief Stella Griffin is working to solve the mysterious death of her predecessor, Eric Gamlyn—who also haunts her cabin. Just as Stella thinks she has a lead from Deputy Chum, someone snuffs her hopes—and the lawman. Stella’s parents soon arrive—with her ex-boyfriend—hoping to persuade her to return to Chicago. Now Stella is torn between the life she left behind and uncovering what happened to her ghostly friend. " What do you think of the teaser and the beginning paragraph? Do they make you want to read the book? The salt from the ocean hung thick and heavy in the air. The only breeze came from the boat moving. Roger and me stood together side by side at the boat's wheel, him driving, me watching. Ebb tide gave me the creepy crawlers. Ebb tide was unnatural, bad, nothing but bad. "That sorry fool Mr. Benton is bringing his colored mistress to stay for two weeks. Mr. Tyson be letting them sleep in his house. He never struck me as one to put up with that mess, but by gosh he is...."
"Shelly Parker never much liked Faith Dobbins, the uppity way that girl bossed her around. But they had more in common than she knew. Shelly tried to ignore the haints that warned her Faith’s tyrannical father, Pastor Dobbins, was a devil in disguise. But when Faith started acting strange, Shelly couldn’t avoid the past—not anymore. 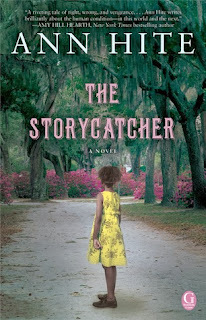 Award-winning author Ann Hite beckons readers back to the Depression-era South, from the saltwater marshes of Georgia’s coast to the whispering winds of North Carolina’s mystical Black Mountain, in a gothic tale about the dark family secrets that come back to haunt." Based on the opening paragraph and book description, would you keep reading? About the book: Janice Gary slowly finds healing through her dog Barney, through her frequent walks in the park with the dog, and in her writing. She details in her memoir her progress in overcoming her fear of strangers and deserted places such as the park, while her dog Barney learns to accept other dogs and curb his aggression towards other dogs. My comments: This is a very personal account of an individual's attempts to recover from mental injuries and be the confident, outgoing person she was before. To overcome traumatic events, namely the memories of a brutal attack by a stranger and the traumatic suicide of her father, the author walks and writes her way to recovery with the help of her second dog, Barney, and her new interest in writing. Her books takes you along on her walks in the park and tracks her thought processes along the way. This also very much a "dog book," as it deals with the happy times, the responsibilities, and the heartbreak that can come with owning a dog. Excellent writing, but expect a book that is often very reflective and slow paced. The book reads as a personal journal that takes you season by season through the author's observations of nature and her thought processes as she walks to recovery with her dog Barney. Click on the link for more reviews by the tour participants. Welcome to the Sunday Salon! Also visit The Sunday Post hosted by The Caffeinated Bookreviewer, and It's Monday: What Are You Reading? at Book Journey. Also, Mailbox Monday at its permanent home. I started out the year by reading books for book tours as I found I had scheduled six books in January alone and three more in February. So I am on a reading frenzy at the moment to keep up. So far, I have finished writing reviews for four of the books. 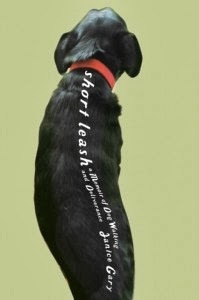 Reviews for Short Leash, My Mother's Funeral and A Different Sun will be published in the next two weeks, starting tomorrow. I have just begun reading While We Were Watching Downton Abbey and will finish up with Last Train to Paris. A few books trickled into the mailbox whenever the mailman came during the sometimes Level 3 snow emergencies we had last week. 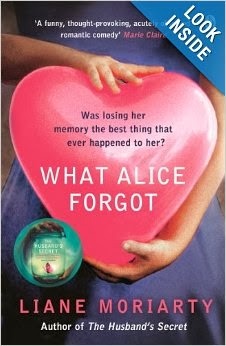 I got this new edition of What Alice Forgot by Liane Moriarty, (see my 2011 review) plus a canvas tote bag with the imprint of the cover of The Husband's Secret. I believe these were a contest win. 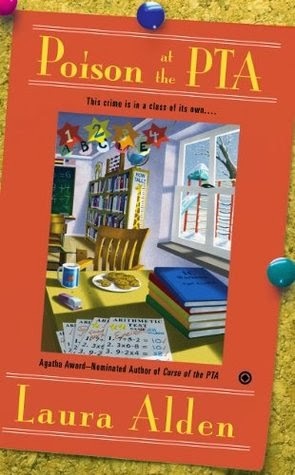 Poison at the PTA by Laura Alden: As the Tarver Elementary School PTA president, Beth Kennedy is always on the go—especially when someone puts murder on the agenda.
. Flower Shop owner Abby Knight has just returned from a romantic honeymoon with Marco, the man of her dreams. But when Marco discovers a skeleton buried in the basement of his bar, it is a bit of a mood killer. 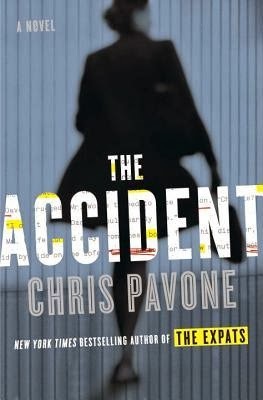 When the body is identified as a carpenter who went missing back in the 1970s, Abby and Marco decide to cultivate the clues to solve the cold case. What are you reading this week, for a tour, for entertainment, information, or...? Do you think that if you had book tours scheduled for all your TBR books, you'd read much faster? 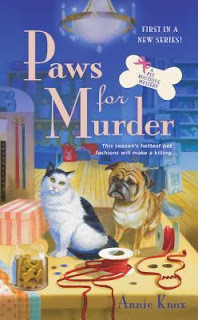 Welcome to Annie Knox, whose first book in a new cozy mystery series, Paws for Murder: A Pet Boutique Mystery, was released January 7 by Signet. In our house, we occasionally joke that the cats need to get jobs and start earning their kibble. But the truth of the matter is that they already earn their keep every day. They make us laugh, they ease our stress, and they provide unconditional affection. Am I giving the cats too much credit? I don’t think so. There’s a growing body of scientific research demonstrating the amazing emotional benefits of having companion animals in our lives. Dogs are working with prisoners, the elderly, the chronically ill, veterans and students—all people living with considerable stress—and studies indicate that those dogs make a difference in the lives they touch. Cats, too, are providing comfort to people with depression and anxiety disorders, helping them cope with their emotions. Our cats have definitely made a contribution to our happiness. When my husband was recovering from major surgery, Squeak-a-doodle provided the best kind of physical therapy. Together, my husband and Squeaky would make laps around the house, stopping at the end of each circuit for a quick petting session. Iphy, our old girl, has lost her hearing; she spends her evenings moving from lap to lap and gazing up at our faces with a look of complete contentment. You can’t help but feel loved when she’s staring at you! The real stress relief champion in our house is Todd. Todd was a stray for at least a year before he joined us. One day, he wandered up on our porch with a big wound on his neck. We got him fixed up at the vet and planned to find him a new home, but he walked into our house, peed all over the basket of cat toys, jumped on our bed, rolled onto his back, and fell asleep. Clearly, he was already home. Todd teaches us the art of relaxation every day. He conks out on his back, belly bared to the world, front paws tucked beneath his chin. He loves to have his belly scratched, and will roll over for a scritching without any real regard for the position of his body (he’s fallen of the couch more than once). When he snuggles, it’s a full contact snuggle. He’ll inch his way up your body until he’s nose-to-nose with you. And he loves everyone who walks through the front door. Our cuddle ninja, our snuggle pirate, our nap hero . . . he’s a living testament to the joy of loving with abandon. Our pets enrich our lives in so many ways. That’s one reason I had such a great time writing about Izzy McHale’s dorky pug-bulldog mix Packer and her regal Norwegian forest cat Jinx. Throughout Paws for Murder, this dynamic duo contribute comfort, clues, and welcome comic relief. Throw in Rena Hamilton’s kleptomaniacal ferret Val, and you’ve got yourself a menagerie of fun. I hope you get a chance to cuddle up with Packer, Jinx, and Val, and I hope they provide you with a fraction of the joy our real furry friends have to offer! 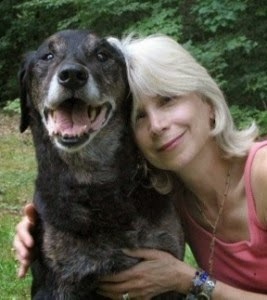 About the author: While Annie Knox does not commit--or solve--murders in real life, her love of animals is 100% real. She's also passionately devoted to 80s music, Asian horror films, and reality TV. Annie, her husband, and their spoiled cats (Todd, Iphy, and Squeak-a-doodle) make their home in a small town in north Texas, just blocks from the town’s courthouse square. Brian Barlics of Northern California is a pediatrician who believes not only in the physical health of children but also in the enrichment of their minds and building of their character. He advocates that reading to your child encourages a strong parent-child bond, promotes literacy, and helps them tap into their seemingly endless imaginations. 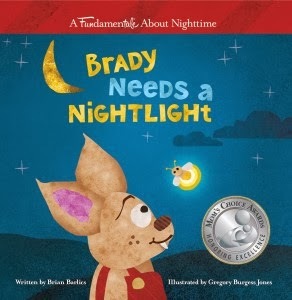 His book, Brady Needs A Nightlight, is now available. My comments: I adore the cheerful and colorful little fireflies who appear at the end of the story to give light and comfort to little Brady, the bat who is afraid of the dark. This is a wonderful children's story with charming illustrations that will delight any child, whether or not they are afraid of the dark. Book description: "Brady is a loveable little bat who oddly has a terrible fear of the dark. This poses quite a dilemma for a creature that sleeps in a dark cave and comes out to play at night. The story opens with an image of Brady, scared to fall asleep inside of his dark cave. He is forced to watch the other bats hang fast asleep as he imagines himself playing outside in the sunshine. As night falls, the other bats are up and ready to play, but poor Brady is too afraid to step out into the darkness. After building up the courage to go, Brady realizes, with the help of some bright and shining fireflies, that the nighttime isn’t so bad after all. New friendships abound and thanks to his new friends, the fireflies Brady learns to overcome his fear! Thanks to TLC Book Tours and the publisher for a review copy of this book. Visit TLC for more reviews of this book. The accused, Chelsea Liew, was in court. She sat on a wooden bench in a wooden box, handcuffed to a police woman. The judge said, “How does the accused plead? Guilty or not guilty?” (Shamini Flint, A Most Peculiar Malaysian Murder ). Book description: Inspector Singh is in a bad mood. He's been sent from his home in Singapore to Kuala Lumpur to solve a murder that has him stumped. Chelsea Liew - the famous Singaporean model - is on death row for the murder of her ex-husband. She swears she didn't do it, he thinks she didn't do it, but no matter how hard he tries to get to the bottom of things, he still arrives back at the same place - that Chelsea's husband was shot at point blank range, and that Chelsea had the best motivation to pull the trigger: he was taking her kids away from her. Based on the opening and the book description, would you keep reading? Check out Mailbox Monday at it's permanent home. The Story Siren also has an In My Mailbox meme. Let us know what new books you received. Two books arrived last week, books for review. There is no mail today, of course. There is a level three snow emergency and only essential vehicles are to be on the road. I think that means our mailman stays home. Over the course of one long, desperate, increasingly perilous day, these lives collide as the book begins its dangerous march toward publication, toward saving or ruining careers and companies, placing everything at risk—and everyone in mortal peril." Thanks to author Nancy Jill Thames for a win of The Ruby of Siam in a book contest. Description: "When Jillian and Teddy travel to London with her wedding attendants, they find themselves embroiled in a jewel heist with a man left stabbed to death. Can they solve the crimes in the midst of Jillian's wedding plans? An old acquaintance from San Diego offers his help, but will it be enough to solve the mystery? Perhaps the jewel has a curse." What arrived in your mailbox last week? 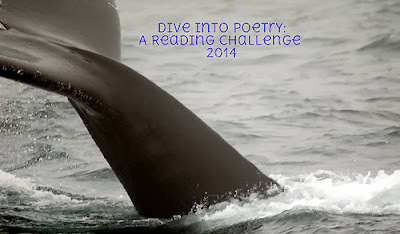 The Dive Into Poetry Reading Challenge 2014 is being held January 1, 2014 through December 31, 2014 by Savvy Verse and Wit. This will be my first poetry reading challenge. 2. Visit the Challenge sign up page at Savvy Verse and Wit's blog and choose one of the challenge options. My challenge: I hope to read at least 4-6 books of poetry during the year and leave my review links on Mr. Linky on the challenge page. About the book: What does a yoga teacher and a responsible dog owner have in common? They are basically decent people, according to Kate Davidson, who owns Serenity Yoga studio in Seattle. When Kate finds herself in charge of a large, homeless German Shepherd with expensive medical problems, she tries to find an adoptive family for the dog, Bella. Easier said than done. Bella dislikes men with beards and she will also go after any dog that comes too close. Kate puts up with Bella out of loyalty to the dog's former owner George whom Kate had befriended and come to like. 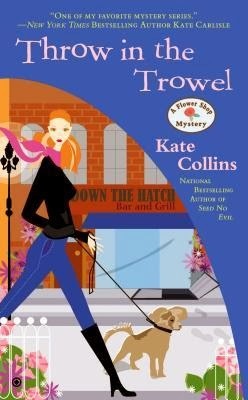 Besides the yoga studio, Kate also has her hands full solving George's murder and dealing with her friend Rene's push to rev up Kate's love life and find her a boyfriend. 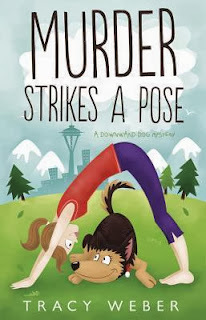 Yoga, dogs, mystery - I was sure I'd like this novel, and I did! Kate Davidson is a very engaging main character, yogi, and dog person. I learned more from her about negative and positive dog training methods and about yoga for children, pregnant women, and those with health problems. 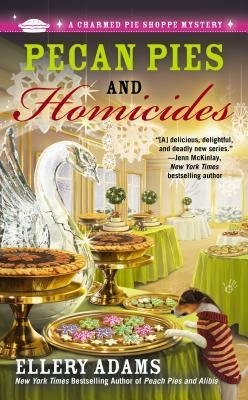 Besides enjoying the murder plot and the suspense of the mystery, I liked Kate's humor and wit and Tracy Weber's excellent writing. 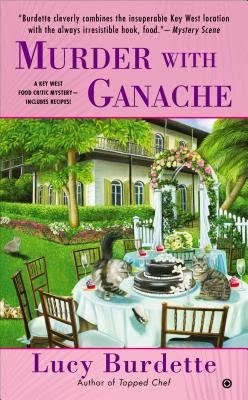 I am looking forward to her next in this new cozy mystery series. My objective rating: 4/5/5. Thanks to the author/publisher for sending a copy of this book for review. 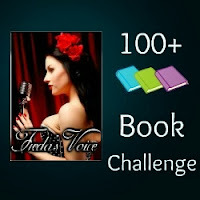 I'm excited to join 100+ Book Challenge 2014, a new challenge by Freda's Voice. 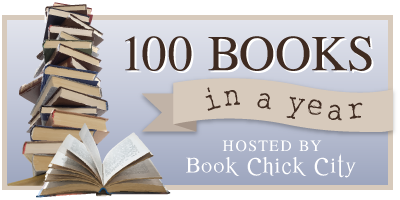 Read at least 100 books, any genre, from January 1, 2014 to December 31, 2014. Click on the link for information and to sign up. 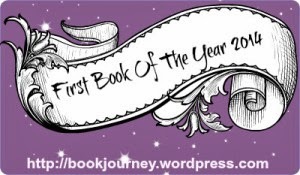 I am also joining 100 Books in a Year 2014 hosted again by Book Chick City. These two challenges are a great way to keep track of books you read in a given year, as you can enter books on your list as you finish reading them. And if you don't reach 100 books, so...who's counting? Sheila at Book Journey has a new meme, First Book of the Year 2014, where we show the book we will be reading today, the first day of the new year. Click on her link to join in! Murder Strikes a Pose, a new cozy mystery series by Tracy Weber. Tracy is a yoga instructor as well as a writer and I'm anxious to get into the book, as I know how to do a few yoga poses! I will also be finishing a book I started last year, The Fishing Fleet: Husband-Hunting in the Raj by Anne De Courcy.